NVIDIA Introduces NVIDIA Tegra 4 at Las Vegas CES 2013. NVIDIA Tegra 4, the world fastest mobile processor features 72 Custom GPU Cores, Quad-Core Cortex-A15 CPU for Superb Performance and Efficiency; LTE Enabled with Optional Chipset. Tegra 4 offers superb graphics processing with lightning-fast web browsing and new camera capabilities. Tegra 4 features 72 Custom GeForce GPU cores (six times the GPU horsepower of Tegra3) – which higher resolution display and realistic gaming performance on mobile & tablet. The Cortex-A15 delivers 2.6x faster web browsing and apps performance. 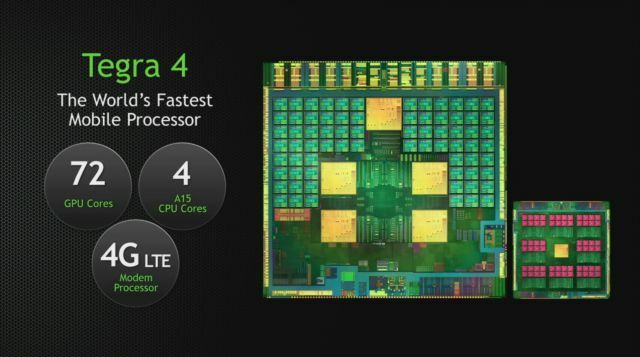 Tegra 4 also comes with 4G LTE voice and data support through an option chipset (this features was not available in Tegra 3). The fifth-generation NVIDIA Icera i500 processor is more efficient and 40 percent the size of convention modems, i500 delivers four times the processing capability of its predecessor. 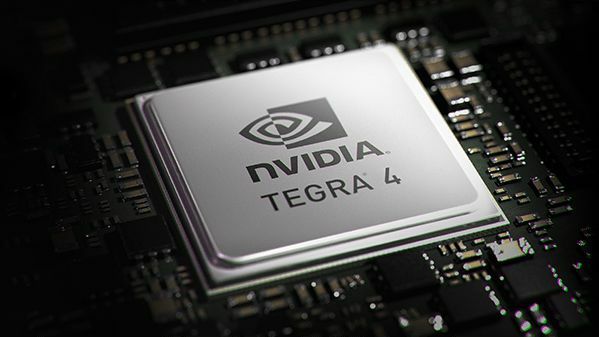 NVIDIA also includes new Photography features in Tegra4. Tegra 4 processor comes with Computational Photography Architecture which automatically delivers high dynamic range (HDR) photos and video by fusing together the processing power of the GPU, CPU and the camera’s image-signal processor. Tegra 3 was not power efficient and consumes more battery than its competition. Tegra 4 designed for maximum energy efficiency. Tegra 4 includes a second-generation battery saver core for low power during standard use, and PRISM 2 Display technology to reduce backlight power while delivering superior visuals. Tegra 4 consumes up to 45% less power than its predecessor, Tegra 3, in common use cases. And it enables up to 14 hours of HD video playback on phones.